I have just completed undertaking an MSc in Archaeological Practice at the Archaeology Institute, University of the Highlands and Islands. This entails completing a placement and as my specialisation and undergraduate dissertation has been researching the use of digital techniques to record and disseminate our heritage, the placement would offer an ideal opportunity to test some techniques in the field. 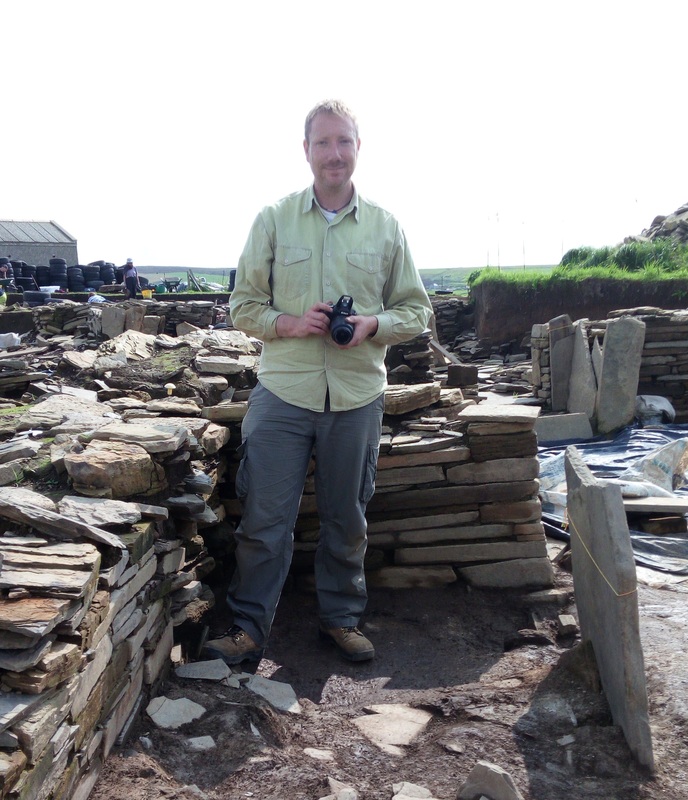 After discussions with site directors Martin Carruthers and Nick Card, I was offered the opportunity to work throughout the season at both The Cairns and Ness of Brodgar excavations. This would enable me to make 3D models of trenches and structures during different phases of excavation. I could also develop my skills with creating models of small finds, the idea being that there could be 3D models of items made just as they have been excavated, or while in-situ. I wanted to identify the value of having what could be termed as a ‘digital archaeologist’ on a site for the entire duration of an excavation, primarily using the photogrammetry technique, and working on these sites throughout the summer would provide the opportunity to do this. Before I go in to detail about how I undertook the digital work at both sites, I’ll give a little bit of background information into the excavations. The Cairns was the first excavation where I was to undertake digital work. 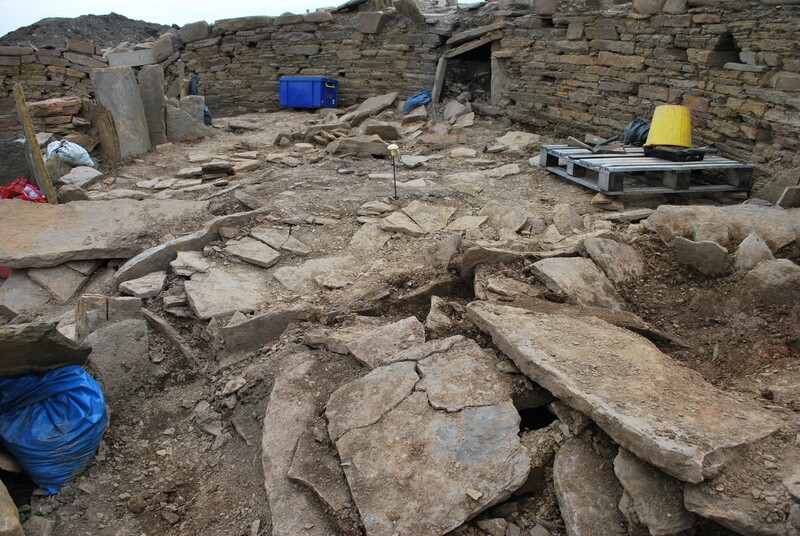 These excavations overlook Windwick Bay in South Ronaldsay, Orkney, and were undertaken from 12th June to 7th July 2017 with previous excavations having taken place from 2006-2010 and 2012-2015. Initially, excavations took place in order to confirm the presence of a souterrain which had been described in a 1903 text, and during the 2006 excavation season, evidence of what is described as a ‘massive roundhouse’ was uncovered, which today is considered to be a broch or broch like building. The excavation is primarily concerned with the Iron Age period, however evidence of Neolithic activity is also present. This entry was posted in Archaeology by Time Period, Excavations, Iron Age, Neolithic, Orkney, Surveying and Recording and tagged 3D model, Agisoft Photoscan, geolocation coordinates, Martin Carruthers, MSc in Archaeological Practice, Ness of Brodgar, Nikon D60 SLR, Orkney, photogrammetry, Photoscan ruler tool, point cloud, Ring of Brodgar, souterrain, Standing Stones of Stenness, The Cairns, total station theodolite, wireframe mesh on November 15, 2017 by nosas. Over the years NOSAS members have done a huge amount of important work finding and researching the archaeological evidence for the herring fishing industry in Loch Hourn in the 18th-19th century. 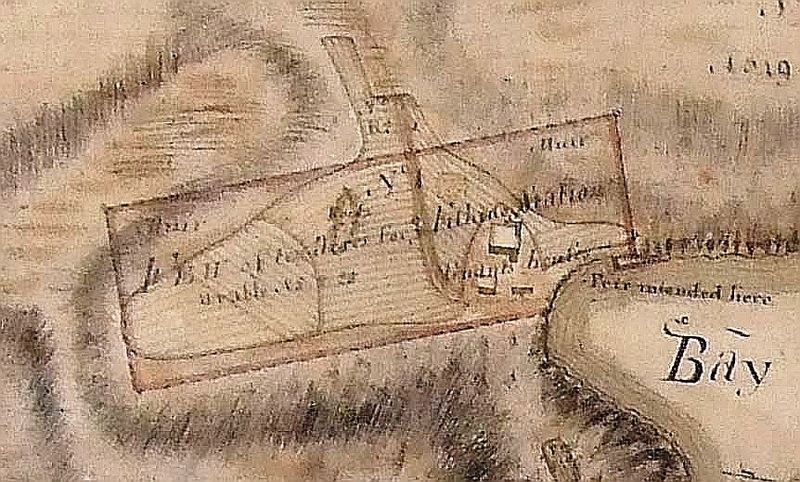 This included looking at the remains of herring curing stations on the west coast, and some NOSAS members will remember going over to Tanera Mor, off Coigach in Wester Ross, to carry out a measured survey of the substantial standing ruins of the curing station, built in 1784 (read the report). 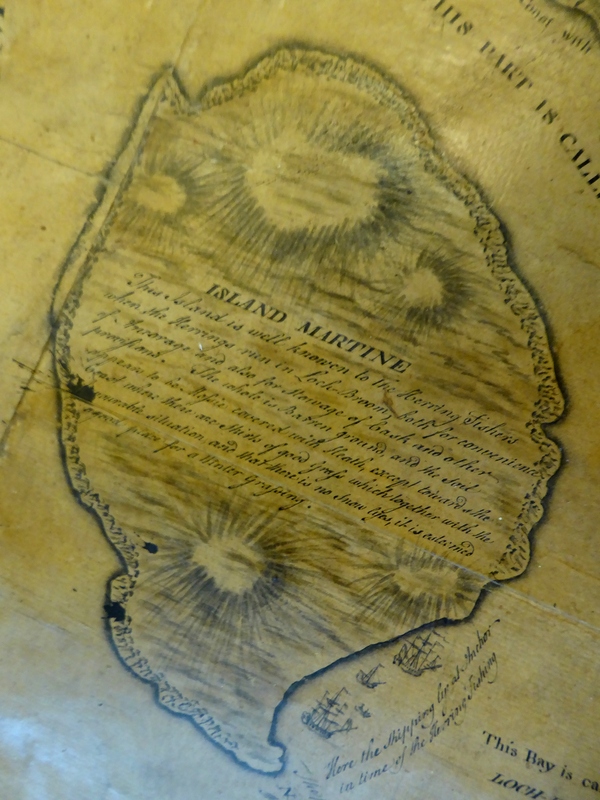 Isle Martin in the 1750s and Tanera Mor in 1785 from maps held in Castle Leod. Thanks to Steve Husband and Meryl Marshall for the copies. Tanera Mor is one of the earliest herring curing stations in Wester Ross. The first was Isle Martin, in 1775 with Culag at Lochinver in Sutherland established a short while later, then Tanera in 1785 and eventually the fishing village of Ullapool in 1788. The greater part of the Isle Martin buildings were converted to a flour mill in 1937 then completely demolished. Culag fishing station lies under the Culag Hotel. 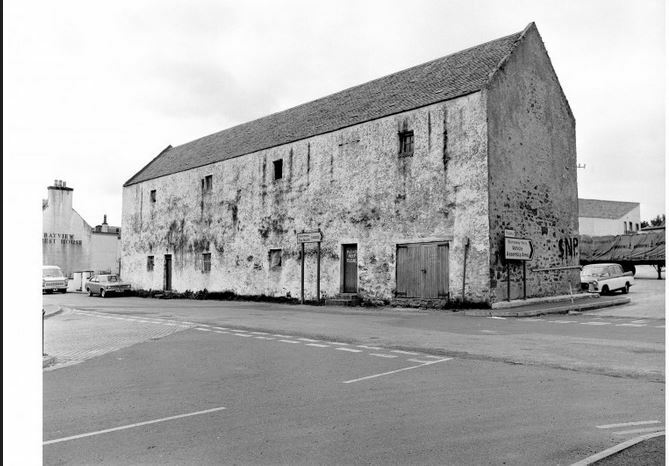 The great red herring curing house in Ullapool was truncated by about 1/3 to broaden the entrance to the ferry car park and converted to Calmac offices in the 1970s, without any building survey or photographic record. Tanera Mor, although roofless and much reduced after Frank Fraser Darling’s demolitions in 1939, remains as the last curing station in the Lochbroom area which might give archaeological evidence for the curing industry. This flourished only briefly but was enormously significant on a local level and also for the role it played in international affairs. This entry was posted in Post Medieval, Surveying and Recording, Wester Ross and tagged archaeology Wester Ross, brick gutters, curing house, curing kiln, Fraser Darling, Heritage Lottery Funding, herring curing, herring fishing, Isle Martin, Isle Martin Trust, Loch Hourn, Lochbroom curing station, North of Scotland Archaeological Society, Post Medieval archaeology, recording a building, recording and surveying, Tanera Mor, Ullapool Museum on November 8, 2017 by nosas. In November public focus is on remembrance as we commemorate the dead from conflicts of WW1 onwards and that focus centres on the many war memorials scattered throughout the country. 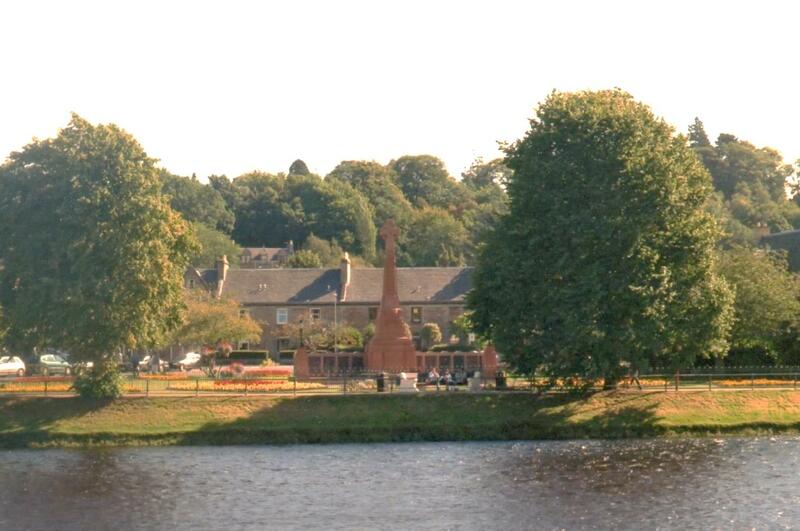 Inverness War memorial (NH66481 44506; HER MHG15630) is sited at Cavell Gardens on the River Ness and at the east end of the Infirmary Bridge. It consists of a red sandstone Celtic cross on a stepped plinth with two walls extending to either side with panels containing plaques with the names of the dead of conflicts from WW1. The wings have terminal pillars surmounted by lamps. The memorial was designed by J. Hinton Gall and carved by D & A Davidson of Academy Street. 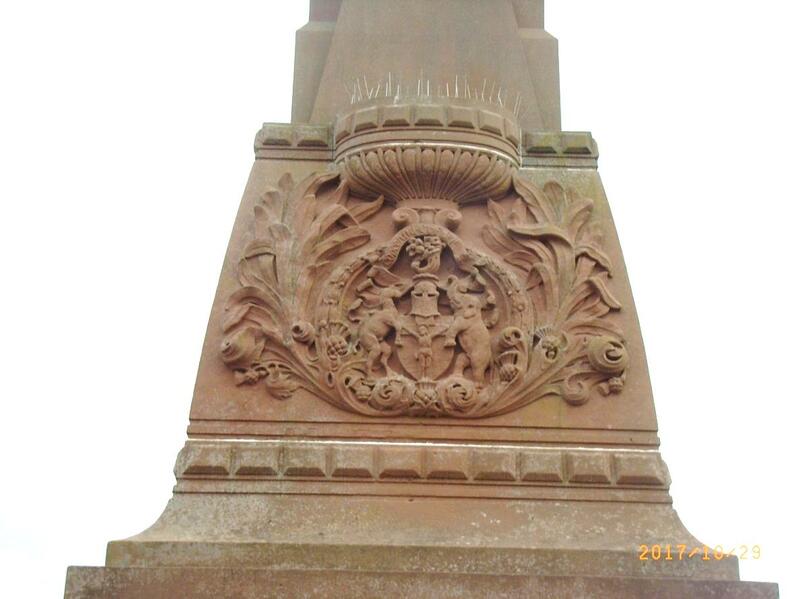 This entry was posted in 20th Century, General Archaeology, Loch Ness, Aird and Inverness and tagged Cavell Gardens Inverness, D & A Davidson, Edith Cavell, Forbes Fountain Inverness, Inverness United Trades Council, J. Hinton Gall, War Memorials Highlands on November 7, 2017 by nosas.